Peter Ramsay graduated from UBC as a Registered Nurse in 2009. He has dual specialties in emergency and critical care nursing and has worked in leadership roles as a Patient Care Coordinator (PCC) and Patient Care Supervisor (PCS) at Lions Gate Hospital (North Vancouver). Currently, Peter is the Cross-site Critical Care Clinical Nurse Educator for Comox Valley and Campbell River Hospitals. Prior to nursing he graduated from the Humber College School of Para-medicine and worked as a Primary Care Paramedic in and around Toronto. Peter also has a degree in Recreation Management from Acadia University and worked in the sport fishing industry in Newfoundland and Labrador and Nova Scotia, for many years. Peter is co-owner of Spiritus Wilderness Medical Training and is a Red Cross Wilderness & Remote First Aid Instructor Trainer. He has been providing the CPR/AED - HCP and overdose management training for the Portland Hotel Society (PHS) since 2010. He is a Take Home Naloxone program educator and holds many advanced certifications (ACLS, PALS, TNCC, ENPC, CTAS, etc). He has a passion for working on the front lines as well as educating. Shari McKenzie-Ramsay graduated from UBC as a Registered Nurse in 2015. She works at Comox Valley Hospital on Vancouver Island in the emergency department and is a Forensic Nurse Examiner for the North Island. She previously worked in Mental Health and Addictions at the Hope Centre (acute psychiatry) and Magnolia House, a mental health transition house. She recently completed a Forensic Nurse Examiner course in Trauma in Health Care through BCIT and is a Take Home Naloxone program educator. She has an undergraduate degree in Psychology from Carleton University (2001), in Ottawa. Shari is co-owner of Spiritus Wilderness Medical Training and has been teaching injury prevention since 1992. Shari is passionate about trauma informed care in health care and in a community setting. In the past Shari has volunteered with victim services through the RCMP, ground search and rescue, and was the Canadian Red Cross injury prevention advisor for Risk Watch, a community based program to reduce injuries for school children in Nova Scotia. Hi there, I’m the other Pete!!!! I received a degree in Recreation Management from Acadia University in the beautiful Annapolis Valley, Nova Scotia. I went on to further my studies at St. Thomas University in Fredericton, New Brunswick where I received my teacher education degree. I have worked as an educator in the public school system since 2006. I have had the opportunity to teach various age ranges and in many unconventional settings. One of my most memorable teaching experiences so far was designing and implementing an outdoor program that taught students math and science. The program used various outdoor pursuits to deliver concepts and curriculum normally taught inside a building. My passions in life include paddling and climbing. I have climbed in many areas throughout the Rocky Mountains and have paddled many beautiful rivers from North to South and East to West. I have a passion for being outside and exploring. 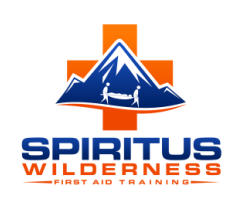 I have been teaching the Wilderness program with Spiritus Training since 2004. Lately, I have focused more attention on offering these amazing courses throughout the North East, Alberta. I have been fortunate (or unfortunate!) enough to be able to implore wilderness first aid skills first hand and be a part of several long and intense rescues and recoveries (I practice what I preach). I have also been the role of patient/injured in a few unfortunate scenarios in my life so I have a great deal of respect for the unpredictability life can offer. I believe firmly in the need for wilderness first aid training for anyone who uses or leads others into wilderness settings our outside immediate hospital care.